Know more about the deadly ‘Gas Geyser Syndrome’! 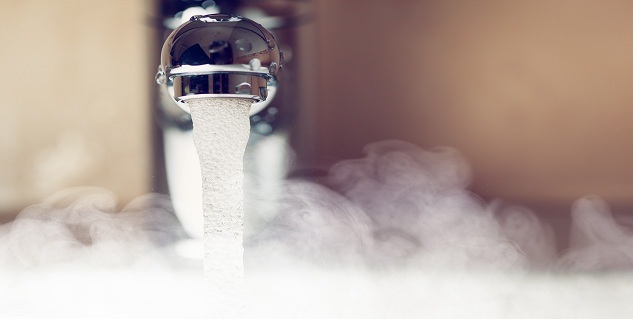 Gas Geyser Syndrome has been noted in those individuals who spend long durations in the bathroom and is caused due to CO2 poisoning, caused due to emissions from bathroom fitted Gas Geysers. Most patients diagnosed with Gas Geyser Syndrome are in between the age group of 20-40yrs and are recorded to have had a prolonged bath, for more than 30mins-45mins before being rushed into a hospital. These patients are mostly affected due to prolonged exposure of Carbon Monoxide and Nitrogen Dioxide, during long leisurely baths in non-ventilated bathrooms. Such is the recent case of a 21yr old female from Mulund, who suffocated to death after spending more than an hour in the bathroom. Gas Geysers are used domestically to supply hot water in bathrooms. Its usage is often on high demand because of its economic value; its installation is cheap and it doesn’t run on electricity. These LPG Gas Geysers if not placed in an adequately ventilated area, combust, leading to release and accumulation of Carbon Monoxide and Nitrogen Dioxide. If a person comes in contact with these gases, especially in non-ventilated bathrooms, it can prove to be fatal. The need of the hour is to control unregulated usage of Gas Geysers. If installed, these should be fitted outside bathrooms, with sufficient ventilation; and the bathrooms should have functional exhaust fans. Inputs by Dr SanjithSaseedharan, Head of Intensive Care Unit, SL Raheja Hospital, Mahim-A Fortis Associate.